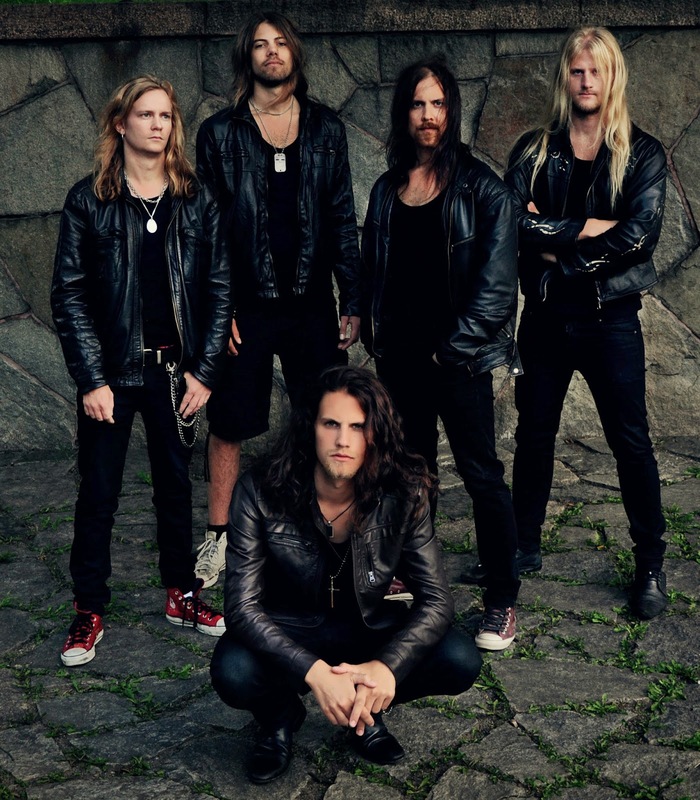 Without a doubt Swedish Rockers DYNAZTY are one of the most promising groups in Metal right now. With each album the young band got stronger and stronger and also the forthcoming album "Renatus" is no exception, although Dynazty sound more different this time. 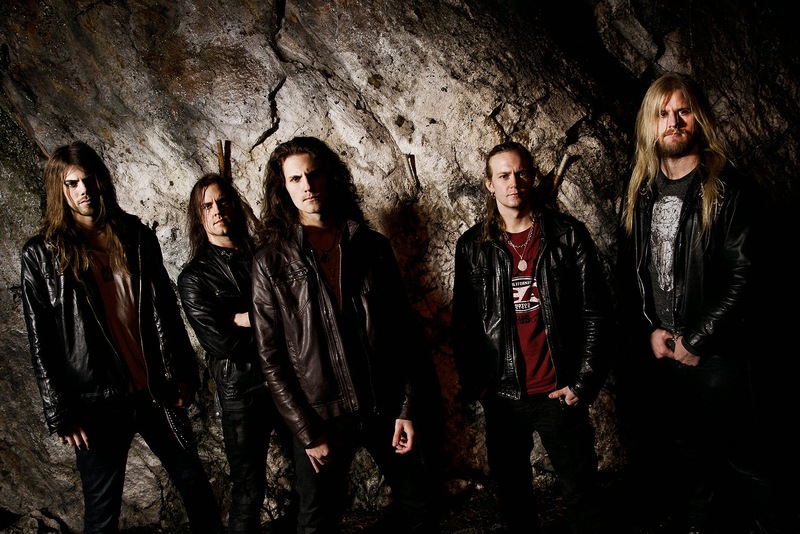 The Hard Rock outfit turned into Power Metal, so it was time to ask vocalist Nils Molin some questions about this decision, the departure of Joel Fox Apelgren, Melodifestivalen and much more. Hello Nils, great to have you here. What’s going on in the Dynazty camp at the moment? Nils: Hi and thanks for having me! We just got back from playing at the Hard Rock Hell festival in the UK and this week we’re preparing for a release party for our new album that we’re gonna host in Stockholm this Friday. Your new album “Renatus” will be released soon and it seems like it is a very special one for you and the band. It’s all about “Reinvention” I think. So what can you tell us about the cool cover artwork? Nils: The artwork was made by an artist from Sweden called Vira Haglund who I think did an amazing job converting our ideas and sketches into a cool and, I would say, unique artwork. Why you chose the title “Renatus”? Nils: This album is quite a big step for us and musically it deviates somewhat from our earlier work. So we wanted to punctuate that in a somewhat subtle way with the title of the album. Compared to your previous records it is really a new beginning for Dynazty. You changed your musical direction very much – why you wanted to sound that different? Nils: We wanted to update ourselves musically to a point we felt could represent where we are here and now. Also, to be able to do this in the long run change might be necessary sometimes. Would you say this style on “Renatus” will be your major sound on following records or is it just some kind of experiment? Nils: I would say so, yeah. I mean, you never know what happens in the future but we feel really strongly about what we’re doing now so I can’t really imagine us changing this much again in the near future. I think you took a big risk with this album, so aren’t you afraid that some fans could turn away from you now? Nils: Taking risks is what makes life worth living! (laughs) We’ve actually been quite surprised by how well received this new direction has been from our fans, of course there will be some who might get turned off by it but generally I feel most of our fans have embraced it. Which circumstances influenced the songwriting on this new album? Nils: It differs from day to day. When it comes to the writing of lyrics I have been very influenced by the political climate of different eras in history as well as the current. Speaking about some songs: you were always known for more short and compact songs. Now we find an eight-minute track on the new album: “Salvation”. How did it happen? Nils: We wanted to make a song for the album that was different structurally than most of the songs and when it was finished it had just become that long. Personally I love bands like Iron Maiden or Dream Theater who don’t care about how long a song should be. Some of my favourite songs of all time are quite long actually. Personally I prefer “Nothern End” and “Dawn Of Your Creation” because of their great melodies. Who of you is responsible for these infectious melodies? Nils: I would say that 90% of the melodies come from me. I’ve really put an effort into it so it’s nice to see that they are appreciated. “Sultans OF Sin” offered an amazing in-your-face-production and same goes to “Renatus”. What is necessary to ensure such a powerful sound? Nils: A great band and a great engineer I would say. 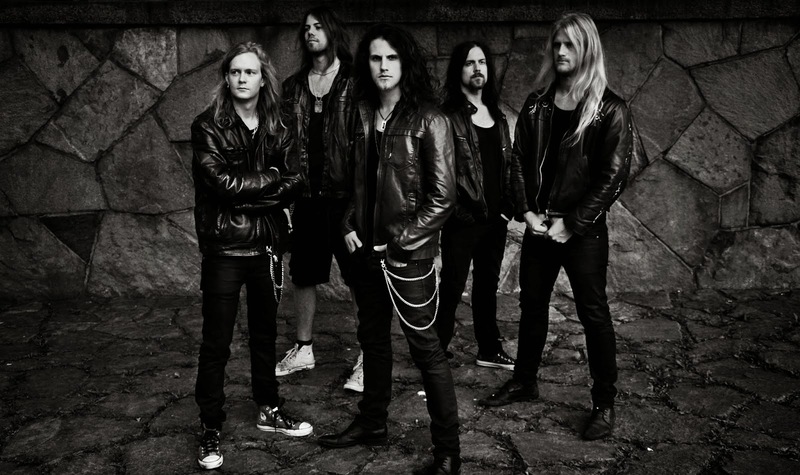 Jonas Kjellgren has done the mixing of the album and he did an absolutely amazing job! Was it hard for you to get a record deal for “Renatus”? Nils: Actually.. No. It was just hard to find the right one. Spinefarm that we’re on now is just a great label so we’re really happy to be on board! What about a European or a US-Tour? Any plans like that? Nils: There are plans for both Europe and the US. Nothing that can be revealed at the moment but we’ll definitely make it happen in the near future! There are many other bands in Sweden, which play a similar style like you guys. So, what do you think makes Dynazty unique? Nils: I think that’s for others to decide really. It’s hard to tell because you are always very subjective about yourself and your own work. Which other bands inspired your sound over the years? Let’s speak a little bit about the past. Where does the name Dynazty come from? Nils: It comes from us wanting to have a band name that’s short and powerful. The band exists since 2007 and you joined them very late. How they got your attention? Nils: Actually I joined the band just months after the start. They were looking for singers on the then very popular community myspace and found me there. Dynazty was part of the Melodifestivalen for two times now. Here in Germany the preliminary round for the Eurovision Songcontest is often only ridiculed and many acts don’t like to be part of it. What about Sweden? It seems to be a bit different in your country. Especially many Rock bands like you, The Poodles or He.a.t. seem to take it as a chance to reach a bigger audience. Nils: It is a bit different In Sweden nowdays I think. For us it was an attempt to reach a bigger audience like you said. But to tell you the honest truth I’ve never liked Melodifestivalen or the Eurovision song contest (laughs). The only time I ever watched it was when H.E.A.T was in it because they are friends of mine. Long-time member Joel Fox Apelgren left the band last year. I read the statement on Facebook that he wanted to move on … but why not moving on with Dynazty? Nils: He didn’t feel he had the same “drive” or energy to keep going as much as the rest of us and he felt he didn’t want to hold us back. I think it was the right choice for everybody. Do you have another passion, beside the music? Nils: Lots of passions! I’m a big movie nerd (laughs). I also watch an almost unhealthy amount of football! Nils, thank your for taking the time. Please leave a message for your fans here. Nils: Thank you for your support and we hope you’ll enjoy our new album!